The month of May typically is one of our seasonal transition months, the Alaska Range slowly turns from brown to green and summer begins. The rivers are now open and free of ice, the eagles are back and fishing the rivers, the cow moose are having their babies and the bears are lurking around looking for the baby moose. This is the time of year we must stay alert to wildlife running through the yard. The sun is now rising at 4:15 am and setting at 11:30pm providing over 19 hours of daylight. The leaves seem to pop out overnight and it sometimes seems like an instant spring. In the higher elevations of the Alaska Range, Taylor Base Camp is about 1800′, this transformation can take a little longer. 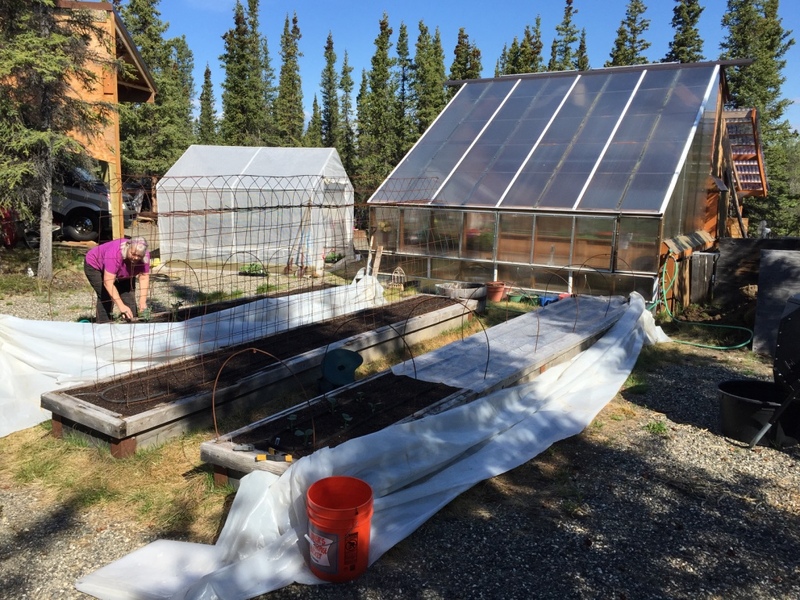 Fairbanks for example is at 400′ and starts greening 2 weeks ahead of us. So far this month has been very dry and above the normal temps. Currently most of the state is under a red flag warning and there are already 31 active wildfires statewide. The lack of rain this spring seems to have slowed wildflower blooming somewhat but the Pasque flowers have already come and gone and the Lupine and other small flowers are now beautiful. The good news is due to these dry conditions there have been very few mosquitos. May also means our outdoor landscape comes to life. We energize the lawn sprinklers and drip systems, outdoor faucets and begin to water. 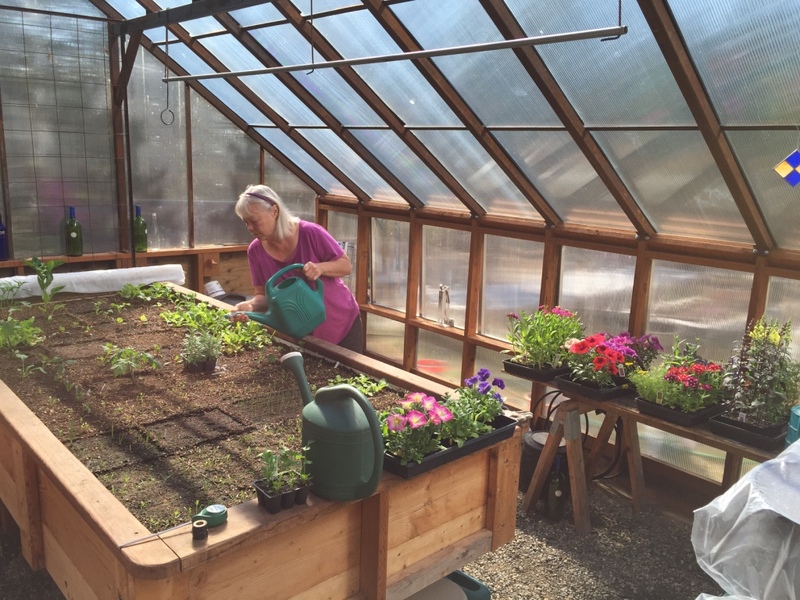 Denise already has vegetables budding in her greenhouse and she has started potting her fabulous flowers. 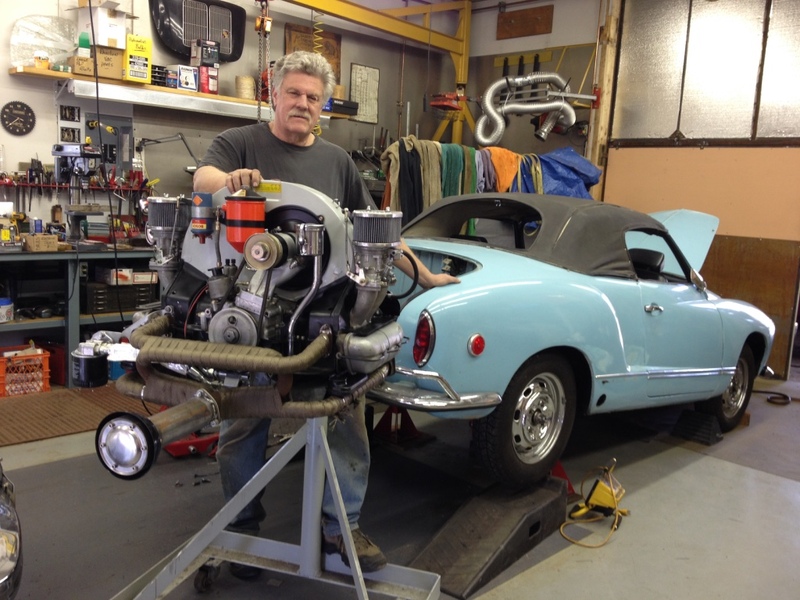 I have been active maintaining our fleet of vehicles and prepping our convertible VW Karmann Ghia for a road trip in late June. It’s great to be retired. 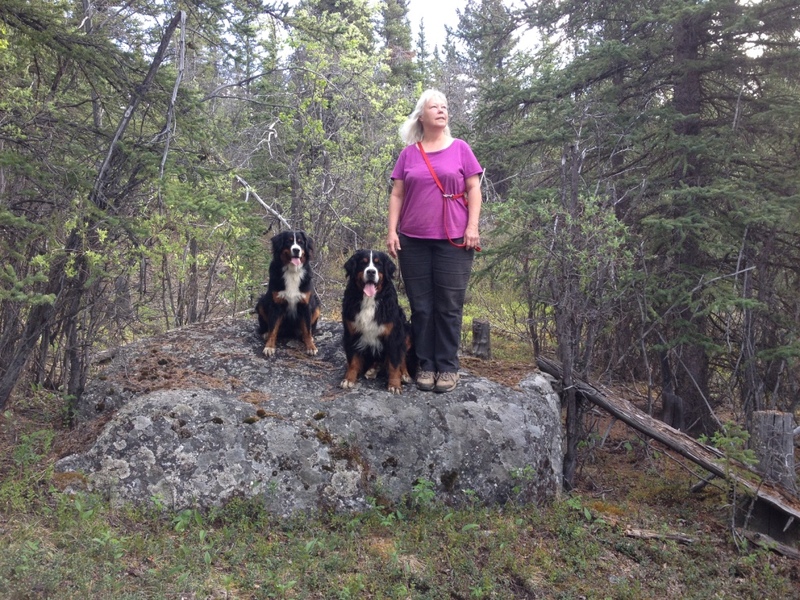 The pups have been enjoying their early morning walks and wading in the local tundra ponds, but they do miss snow. By the end of May the main stream of visitors have begun to arrive. Motorhomes that left the lower 48 in early May are now cruising our local roads. All tourist facilities are open and operational by the end of May. 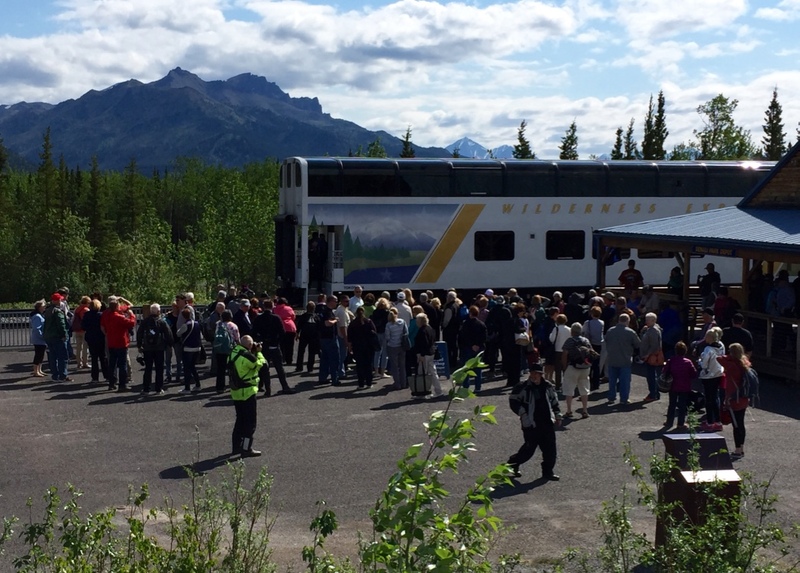 Daily tourist trains are now delivering hundreds of visitors to Denali Park. It looks like motorhome traffic could be higher this season due to cheaper gas and the abundance of stimulating Alaska based reality TV shows. This is all good news for the Alaskan economy since our oil revenues have been steadily declining. For Taylor Base Camp these seasonal changes mean lots of new choices to dine. The bad news is our little community has become a metropolis virtually overnight. Glad you were here too! Thanks Greg, I have owned it since 1979 and am just now getting around to restoration. I guess better late then never! Thanks for fixing my Ghia up for me Tim! wait till you see the bill! Thanks! When you do come up be sure to look us up!